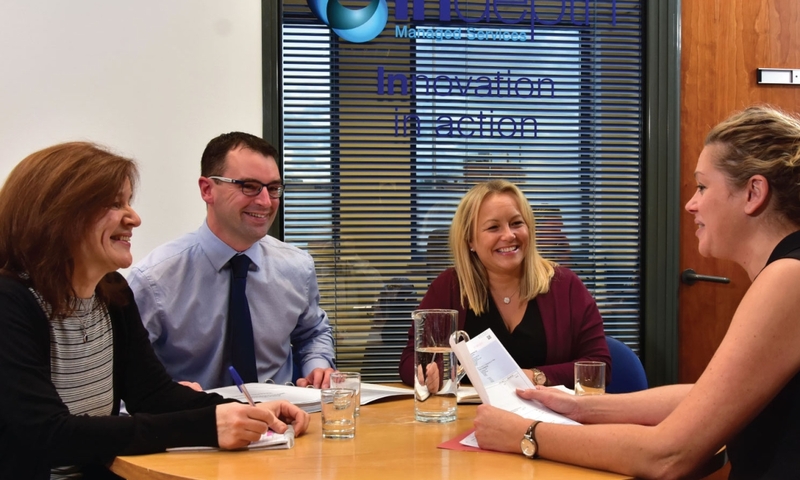 Indepth is one of the UK's leading workplace service providers and has been trading for more than 40 years. Employing in excess of 1500 employees throughout the UK in a wide variety of roles and acknowledging that people are the reason for the successful delivery of a quality service. An equal opportunities employer with processes and procedures to offer genuine opportunities for all. Regional and Area Managers are trained to BICSc accredited standards enabling them to deliver suitable training to Cleaning Operatives within their remit. Health and safety and wellbeing of all employees is a focal point - people are at the heart of our business and are treated fairly, listened to and nurtured. Employees are rewarded for going the extra mile with a recognition scheme, Inspiration Awards. Periodically regional awards are presented to employees who have been recognised by clients and Area Managers for their excellent contribution to the organisation. Information about employment is quick and easy to access with the provision of an Employee Portal - allowing access to payslips, company handbook, etc. With employment opportunities up and down the country and with a focus on company growth, the submission of employment enquiries and applications is always welcomed for both Cleaning Operative and Office and Management positions. To find out more and to apply for a position, click the area that you are interested in below.